We went to Jodhpur for our nation conference of Anatomy. Whenever we went to new place to visit. We tried to meet few birder their so we can meet more people and can do birding also. This time we met the Pranjal J. Saikia at Jodhpur. A excellent birder and good person. 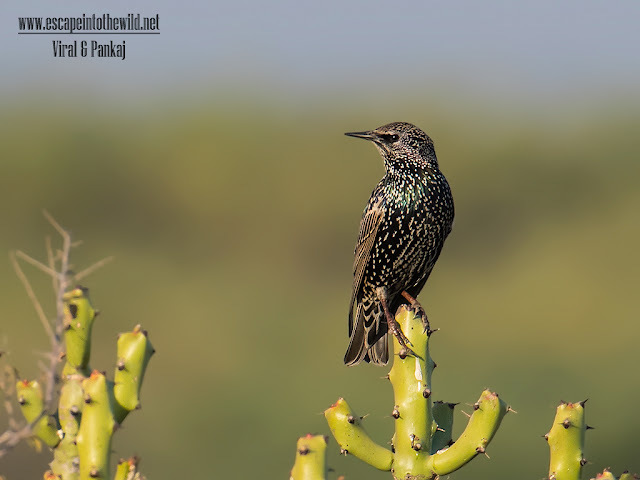 We went for birding nearby to Jodhpur and what we get is Common Starling. One of my favorite birds to click due to its glittering color. We are luck to sight starling in sunlight so its true color can see.